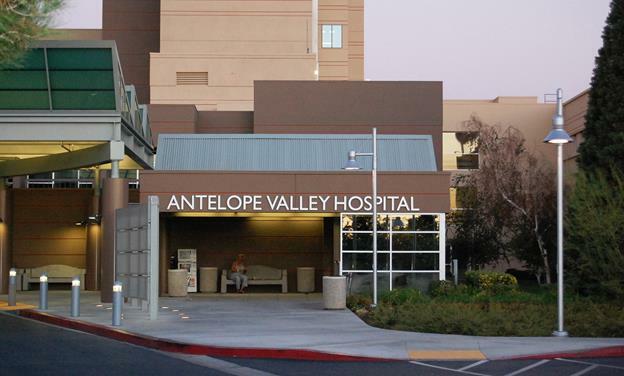 LANCASTER – Antelope Valley Hospital received full Chest Pain Center Accreditation from the American College of Cardiology. The accreditation, initially earned in 2015, reaffirms the hospital’s comprehensive Institute for Heart & Vascular Care (IHVC) as the leading source of cardiovascular care in the Antelope Valley. An accredited Chest Pain Center’s evidence-based, protocol-driven and systematic approach to cardiac patient care allows clinicians to reduce time to treatment during the critical early stages of a heart attack. Accredited facilities better monitor patients when it is not initially clear whether or not a patient is having a coronary event. Such monitoring ensures patients are neither sent home too early nor needlessly admitted. Hospitals that receive accreditation have achieved a higher level of expertise in dealing with patients who present with symptoms of a heart attack. They emphasize the importance of standardized diagnostic and treatment programs that provide more efficient and effective evaluation as well as more appropriate and rapid treatment of patients with chest pain and other heart attack symptoms. They also serve as a point of entry into the healthcare system to evaluate and treat other medical problems, and they help to promote a healthier lifestyle in an attempt to reduce the risk factors for heart attack. Integrating the emergency department with the local emergency medical system. Effectively treating patients at low risk for acute coronary syndrome and no assignable cause for their symptoms. Ensuring the competence and training of Accredited Chest Pain Center personnel. Constructing a functional design that promotes optimal patient care. In addition to becoming a certified Chest Pain Center, the hospital is a STEMI (ST-Elevation Myocardial Infarction) Receiving Center, which means it has the training, equipment and processes in place to immediately treat patients experiencing an acute cardiac myocardial infarction (heart attack). It also is an Advanced Primary Stroke Center, which signifies that the hospital has the equipment, infrastructure, staff, and training programs needed to provide care based on the most current research and standards to foster better outcomes for patients who have had a stroke. 1 comment for "AV Hospital re-accredited as chest pain center"
Been to AV Hospital 3 times for chest pains and symptoms of a heart attack. They gave me an EKG and sent me back to the waiting room or left .e sitting on the gurney in the hall for HOURS.